What would you do when your significant other has completely forgotten everything about you; from your name to the people they love? For this 25-year old man, he had to make his girlfriend fall in love with him all over again. 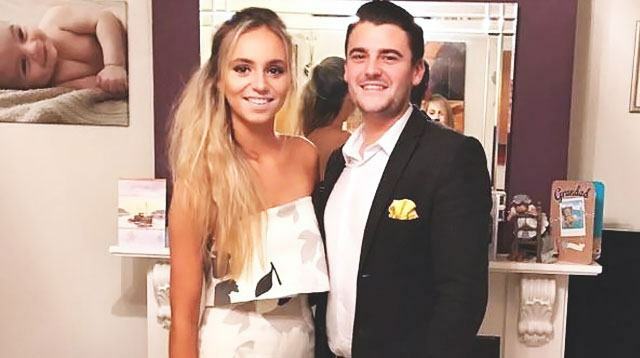 Richard Bishop's girlfriend, Jessica Sharman, was diagnosed with frontal lobe epilepsy in 2010, and in March 2016, she suffered a series of seizures while they were on their way to work. That seizure caused her memory to be wiped out to the point where she couldn't even remember her face. She couldn't remember her parents, Lisa and Gary Sharman, and she almost broke it off with Bishop since she had no idea who he was—but Richard asked her for a second chance. "They left me alone with him and I hated it. He was a stranger to me. Rich took me to what was supposedly our favorite park but I wouldn't even walk next to him. When he held my hand I pulled away," she said. She then contines, "he was devastated and adamant we could get back what we had. Seeing how passionate he was convinced me that he must care for me, so I agreed to date him, but made no promises." Luckily, things are going well for Jessica and Richard. "I have recovered a life for myself with the help of my family and, of course, Rich. I feel so lucky that he knew me well enough to stand by me even when I thought of him as a stranger. He practically lives at my house now and our relationship is going from strength to strength." After everything that has happened, both of them are hoping that the future will get better. "I've had to relearn everything about those close to me—and doctors say there's a 50 percent chance I could lose my memory all over again. But Rich was able to make me fall in love with him twice—so I know he could do it again."